2016 Call Me, Bob Dylan... Please! 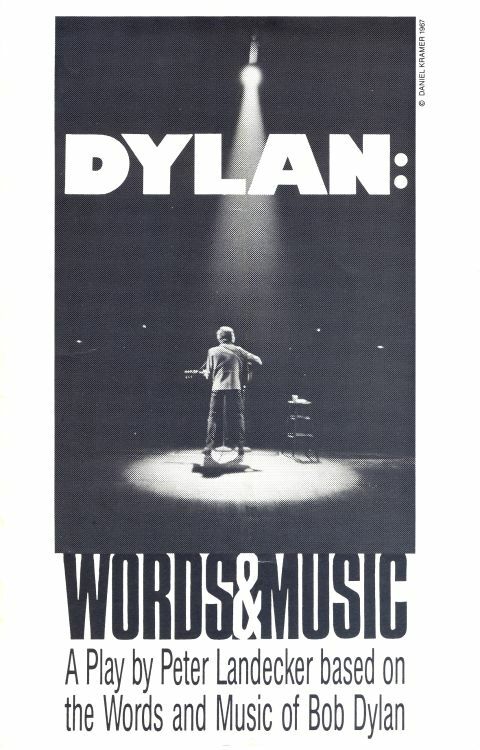 Programme booklet for the world premiere of "DYLAN: WORDS & MUSIC", a play by Peter Landecker based on the words and music of Bob Dylan, featuring Bob Miles and the band "San Francisco". 1987. With Director's notes, credits and a list of performers.